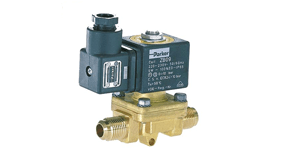 We supply a range of high quality Parker solenoid valves from their Fluid Control Division, Parker Lucifer. Parker Lucifer solenoid valves are available in a variety of 2, 3 and 4-way solenoid valves including a large range of multipurpose direct and pilot operated solenoid valves (normally closed or normally open) for all industrial applications requiring high quality safety and reliability. Bodies are made of brass or stainless steel and are compatible with most liquids and gases. They come with a choice of unique coils and housings to suit. This modular concept enables many application requirements to be met, especially in the various explosion-proof protection classes. 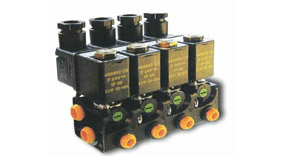 The range also includes solenoid valves for pneumatic actuators control. 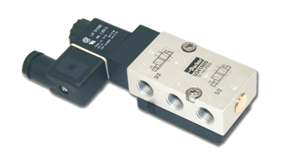 This series features both pipe mounted and NAMUR solenoid valve models. Parker Lucifer provides a variety of 2-way valves including a large range of multipurpose direct and pilot operated models (normally closed or normally open) for all industrial applications requiring high quality, safety and reliability. Bodies are made of brass, or stainless steel and are compatible with most liquids and gases. In sizes from G1/8 to G3 with pressure range up to 100 bar. Parker Lucifer offers a large series of 3-way direct optional valves in brass and stainless steel for all types of liquid and gas distribution applications. 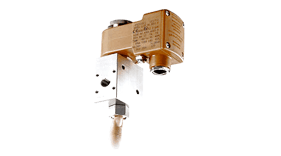 Specific 4-way valves are available, for the control of single or double acting cylinders (or other actuators). Long life expectancy, fast response and low lubrication requirements allow these to readily meet the pneumatic conditions. 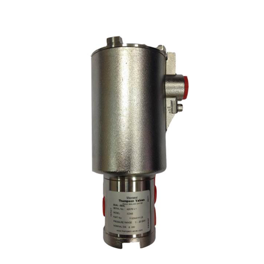 Parker Lucifer also manufacture a range of 316L Stainless Steel solenoid valves for pneumatic actuator control in process industry applications. This series features both pipe mounted (NPT 1/8, 1/4 or 3/8 size) and NAMUR compatible model in 3/2 and 5/2 functions with 4mm and 8mm orifice. Available in the Parker Lucifer product range is a unique choice of coils and housings. This modular concept enables many application requirements to be met especially in the various explosion-proof protection classes. The full range of explosion proof versions conform to the latest ATEX standards. Meets full European standards as well as U.S. NEMA and UL standards. Parker Lucifer provides a variety of 2-way valves including a large range of multipurpose direct and pilot operated models(normally closed or normally open) for all industrial applications requiring high quality, safety and reliability. Bodies are made of brass, or stainless steel and are compatible with most liquids and gases. In sizes from G1/8 to G3 with pressure range up to 100 bar. Parker Lucifer offers a large series of 3-way direct optional valves in brass and stainless steel for all types of liquid and gas distribution applications. Specific 4-way valves are available, for the control of single or double acting cylinders (or other actuators). Long life expectancy, fast response and low lubrication requirement allow these to readily meet the pneumatic conditions. Parker Lucifer also manufacture a range of 316L Stainless Steel solenoid valves for pneumatic actuator control in process industry applications. This series features both pipe mounted (NPT 1/8, 1/4 or 3/8 size) and NAMUR compatibile model in 3/2 and 5/2 functions with 4mm and 8mm orifice.